If you’ve gone back at all to the vast catalog of Game Boy games, you might be surprised by how so much of it is really doesn’t hold up. The Game Boy was Nintendo’s first true portable system with swappable game carts, rather than a single-purpose LCD Game & Watch toy. It had to be able to run actual games, with actual computer processors. These processors were very out-of-date even when the Game Boy was new, with its Z80 CPU having powered many computers from the late 1970s. As the first of its kind, the grey brick was a heap of technical and financial compromises; but it could run the oddball Super Mario Land, and later Tetris, Pokémon, and even a Zelda game in Link’s Awakening. Trying to adapt overly ambitious home-console NES game for the meager capabilities of the machine lead to cases like Metroid II, Castlevania: The Adventure, and Mega Man: Dr. Wily’s Revenge. I have tried going back to these games on the 3DS Virtual Console, and they just aren’t fun. 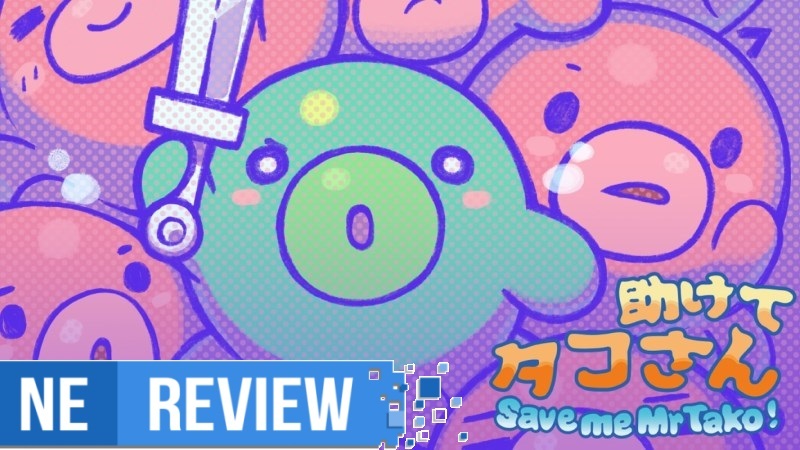 Save me Mr Tako: Tasukete Tako-San is closely styled after Kirby’s Dream Land; the first entry of the 2D platforming Kirby franchise, before there were copy abilities and before there was a canonically pink Kirby. Kirby’s Dream Land is actually one of the most inoffensively bland Game Boy games – the flavorless IKEA cafeteria of the Game Boy’s library. Despite its sprite art taking clear inspiration from the squat and chunky character of Kirby’s world, Mr Tako doesn’t pull its punches. As a balloon-like octopus, Mr Tako has similarly bouncy physics to Kirby, complete with chunky star particles that fly out whenever he bumps against a surface. Tako is not an all-powerful creature. He can’t fly. Instead of eating anything in his way, Tako can only shoot projectile ink-bullets that temporarily freeze enemies, rendering them into harmless floating platforms and grounded statues to be pushed out of the way. Unless you have a hat power-up for Tako that modifies his offensive abilities, everything is a one-hit kill. This is where Tako starts to have serious issues. When you start a new game, it prompts you to choose between “normal” and “easy” difficulty. The only difference I could discern between these is that the easy difficulty gives you unlimited retries. Don’t repeat my mistake: play on the easy difficulty. 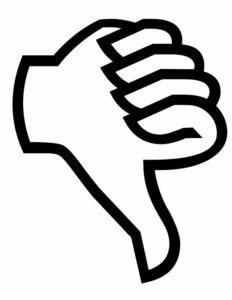 Having a life system at all seems like a case of adhering to outdated design decision purely for the sake of convention. With the game’s intermittent unskippable dialogue box cutscenes, running out of lives in any of its relatively short levels because the screen is so zoomed in that enemies fly into view with little reasonable chance for reaction only means you’ll be booted back to the start of that level, mashing A to skip past the dialogue, over and over. It is not a meaningful progression block and it doesn’t actually make the game more difficult, just needlessly tedious. The overly zoomed in view is a big problem, as it was on any Game Boy game that opted for the kind of big expressive sprites that plagued Metroid II, rather showing a large playing field with tiny sprites like Super Mario Land. The sprite art on display in this game is impeccable, with cute and detailed animation. The game even plays with lighting by contextually adjusting the shades of the monochrome palette, without having to create new palette of sprites for, say, a dimly lit cave. The spritework is full of little tricks like this that regularly impress me. I love looking at the art on display. The game’s levels, however, are not designed around the limitations that the art style sets on itself. Most levels have a significant vertical element to their design and layout. This means you’ll do a lot of standing in place and holding down, scrolling the camera two or three screens away from your character in order to decide whether a gap is a deadly pit or a fork in the path, all the while hoping that when you jump down you don’t fall on a patrolling enemy and lose another tedious life. Hopefully while you run forward, you don’t get hit by an unfortunate falling stalactite that was just off-screen, or enemies waiting in ambush under bridges by flying up from under Tako, timed so they hit him even as he’s running at full speed. To some degree, these frustrations are tied to the visual style that Mr Tako inherits. There are other issues that seem less intentional. The game has really shoddy hit detection. 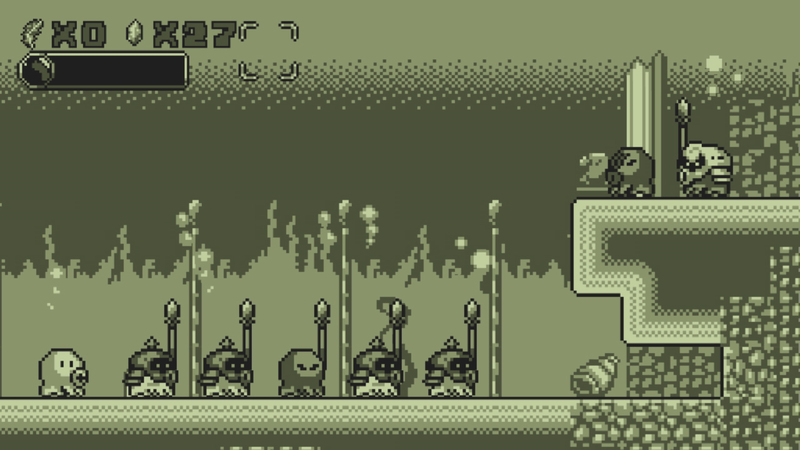 For example, if you jump up to a platform that is just out of range, Mr Tako can scurry up the corner. Sometimes he doesn’t. If you freeze two enemies and push them against each other, there is a chance Tako will get trapped under them until they unfreeze and he dies. When you’re set back to a checkpoint the game prompts you to choose a hat ability for Tako. Sometimes when you’re in the menu, an enemy will swoop in and kill Tako despite his sprite blinking: the universal video game signifier of invulnerability. There is a certain type of ghost enemy that locks on to Tako and floats around him for a few seconds before it goes in to strike. If you die while that enemy is still floating around Tako, they’ll respawn with him and strike before he has a chance to move again. The game logic doesn’t freeze when the camera pans away to show you an unlocked door or opened gate, so enemies might just touch Tako while everything is off-screen. There’s a life gone. This list of petty grievances could go on, but there are so many cheap little annoyances that it becomes a significant hindrance on actually having any fun with the game. This is all compounded by the strict one-hit kill enemies with the pointless tedium of limited retries of normal mode. It’s finicky and unpolished in ways that feel authentically like a Game Boy game, just not one I would want to play. I’ve talked around it, but there’s a lot of story in this game. It’s both overbearing and completely forgettable, but it boils down to humans and octopuses at war. None of its plentiful dialogue is particularly original or interesting. None of it reads naturally but none of it is so absurdly bad that it’s funny, so I’m not sure if this was a homage to poor translation or if this is in itself a genuine stilted translation. The narrative meanders in its structure, with too many undeveloped characters and tonal whiplash. At times it wants to be a dark political drama with alliances and betrayals, but I can’t take any of its platitudes about the horrors of war seriously when brooding militaristic Kirby octopuses are wearing pickelhaube helmets. The only element that I could remember was a character that would play several Kefka laugh noise clips every time he had a dialogue box pop up. Every time, just in case you didn’t catch the reference. 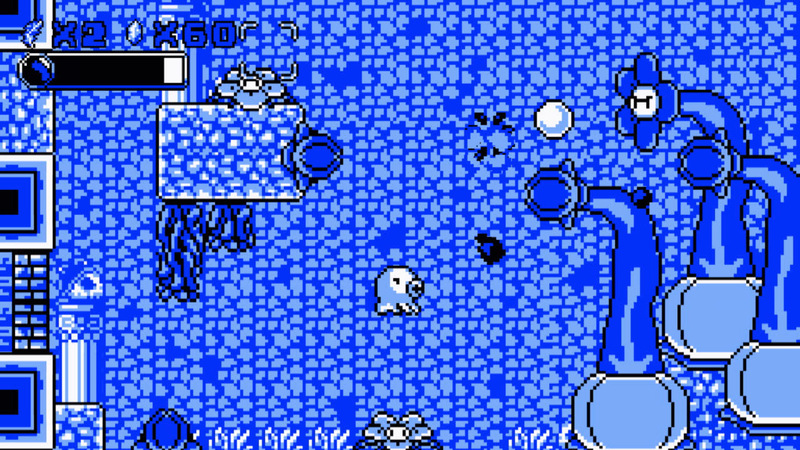 Save me Mr Tako: Tasukete Tako-San is an authentic Game Boy throwback in the worst ways. Yes, the art is really nice, but the game hasn’t been designed to accommodate those giant sprites and zoomed in view. With its lack of polish, poorly considered life system, and obtrusive but shallow narrative, the game is frustrating on multiple levels. If you have a particular fondness for the antiquated design of the forgotten majority of the Game Boy library, maybe you’ll find a nugget of something worthwhile here. For most people, even if they play on easy mode, and even if some of the game’s collision issues and unfair enemy respawning problems get fixed, I’m not sure that most levels really have strong enough design to make it a worthwhile way to spend your time. Save me Mr Tako: Tasukete Tako-San review copy provided by Nicalis for the purposes of this review.